Two posts up from you! I am based in the outskirts on the NE side of Norwich, and have just relocated my workshop; so I am waiting for a new phone line to be put in. However, I can be reached on 01603 435 199 until about 6-7pm most evenings or until midday on Saturdays. My business is called Cargo Cycles, and I build cargo carrying bicycles, tricycles, quadricycles, and fixies, along with general steel fabrication, specialist tube manipulation and bending, and plywood forming. I have recently been making a lot of animal related steel fabrications: Dromedary & Bactrian Camel saddle frames, Mule pack frames, Llama pack frames and two Elephant Howdahs. Some of those are amazing! I love the orange poddy one. Did you make all of those? I build those Pedi-vans and trucks, and currently I am building two pedal powered Old wild west style Medicine/snake oil show vehicles for a well known Magician and his touring magic and illusions show. 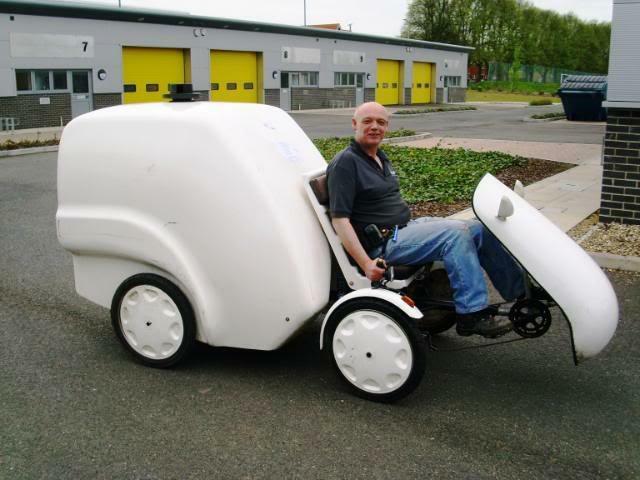 I currently have a secondhand pedal powered with electric assist Pedi-van for sale. Full road legal light set, 250kg Payload, 1.2 cu/metre capacity, battery range approx 30 km (60km total), limited to 18 MPH. Whats it like on hills fully loaded? Love the pedivan, but I don't see how the pallet tool is supposed to work. I use a claw hammer with a mallet. Ear defenders are a must though. I am sorry that I've not been back sooner to this tread to answer the question about the Pallet bar: recently I've been up to my neck in work building the two pedal powered medicine show quad bikes, Elephant Howdah frames, and a very large production run of Pallet Reclamation Bars. 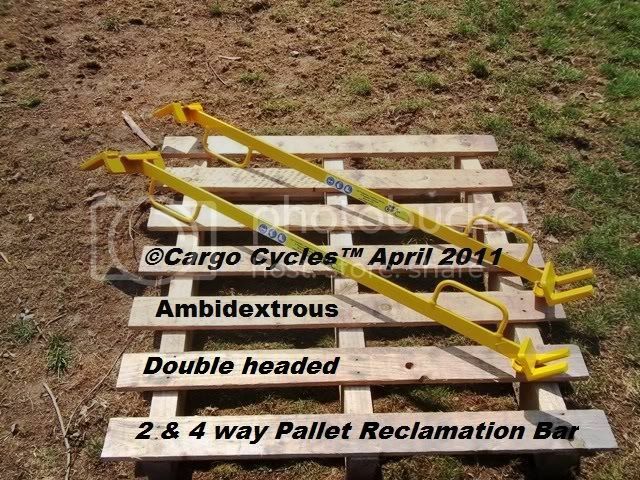 I have also registered the design of the pallet reclamation bar and applied for a patent.